JERUSALEM (AP) — Israeli police said Saturday they arrested a Palestinian suspect in the killing of an Israeli teenager, as thousands of people in Gaza buried two Palestinian teenagers killed a day earlier in protests along the perimeter fence. The police said the suspect was arrested in Ramallah, the seat of the Palestinian Authority, but originally comes from the southern West Bank city of Hebron. The police did not say when the arrest took place. The body of Ori Ansbaher, 19, was found in the woods near Jerusalem on Thursday with stabbing wounds. She was buried Friday in the Israeli settlement of Tekoa amid calls by hard-line Jews for revenge. Over 400,000 settlers live in the Israeli-occupied West Bank, which the Palestinians want — along with east Jerusalem — as part of their future state. The two teenagers were standing 50-60 meters (160-200 feet) from the fence at separate protests when they were shot, according to rights group al-Mezan. 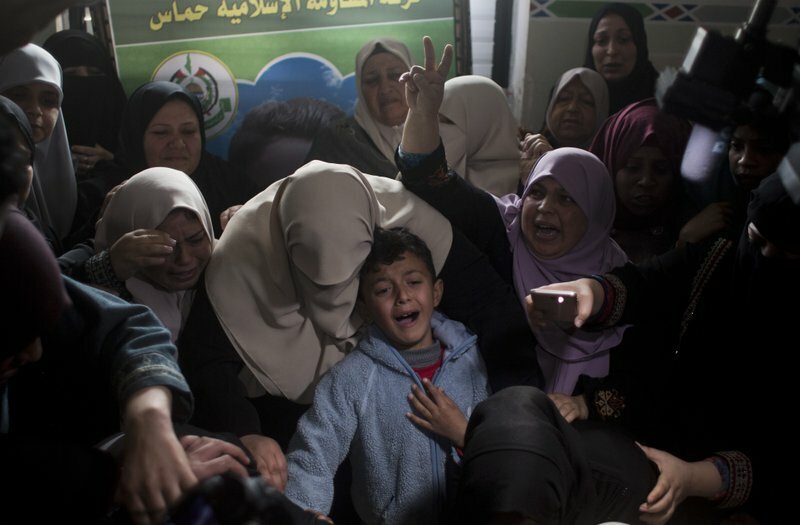 In Gaza City, mourners buried Hamza Ishtiwi. The Health Ministry put his age at 18, but Mezan said he was 17. Footage of Hamza lying on his back the moment after a bullet struck him in the neck spread on social media. Gaza’s Hamas rulers have organized mass demonstrations along the frontier every Friday since March, in part to protest against the Israeli and Egyptian blockade on the territory, which was imposed when the Islamic militant group seized power in 2007. Dozens of Palestinians have been killed and thousands have been wounded.